English-born television journalist and producer Gordon Bick was an early casualty of a relationship between the NZ Broadcasting Corporation hierarchy and journalists, and the National Government, which became increasingly fractious through the 1960s and into the 70s. Born in London in 1925, Gordon Bick volunteered for the RAF in 1942, and saw active service in Europe and the Pacific. After time as a provincial newspaper journalist he moved to Fleet Street in 1955. He became a news editor with the Daily Mail group, but television beckoned in 1962. After a stint as a scriptwriter and producer on the BBC’s Tonight programme, he joined the NZBC, arriving at AKTV-2 in Auckland in January 1964. The timidity of the local media came as a disappointment, but the October 1964 launch of Compass, the NZBC’s first weekly current affairs programme, brought a promise of change. Bick quickly pitched a story idea to Compass producer Allan Martin. The Watersiders’ Union had challenged the Auckland Harbour Board’s chairman to work for a day on the wharves. When he refused, Bick offered to do the job himself, with a Compass film crew in tow. One critic argued that the resulting story “did not attempt to probe deeply into the issues but at least did provide viewers with a fresh slant on an old subject”. It also earned Bick a job with Compass in Wellington. Within weeks, he was departing on the NZBC’s first major foray into overseas reporting — a seven week odyssey through South East Asia producing stories in Thailand, Malaysia, Singapore and Vietnam. In Vietnam the crew visited an NZ Surgical Unit working in tough conditions north of Saigon, and asked whether a team of Kiwi engineers ought to be risking their lives building schools when the Viet Cong were setting off bombs less than a kilometre away. Trips into the Pacific followed in 1965, along with domestic stories. Towards year’s end the NZBC made its first move into daily regional news. Town and Around was trialled in Wellington, with the Compass team enlisted to help. Bick’s shouted interview with an unseen workman down a hole proved an early highlight. His relationship with the all too cautious NZBC management could be prickly. Given the chance to direct a Compass special reviewing the first five years of NZ television, he found himself dealing with a vetting committee of six. 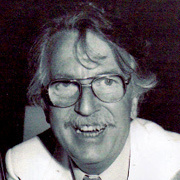 Presenter Reg Harrison threatened to walk out if he wasn’t able to describe the diet of programmes as “an unrelenting diet of porridge”. The line stayed in. There had also been a threatened walk out when a “politically harmful” programme about Wellington’s down-and-outs was prevented from going to air. Despite this friction, Bick was appointed Compass producer in February 1966. His tenure was eventful. In the programme’s coverage of a visit by the Queen Mother, Bick and Ian Johnstone focussed on preparations in Alexandra for the town’s fleeting contribution to the Royal Tour. Their less than reverent story ruffled local feathers, but managed to get past an increasingly cautious NZBC hierarchy, to Bick’s surprise. By 1966, the conflicting interests of broadcasting management, journalists and government were coming to a head. The NZBC was lobbying for a second channel, and wary of antagonising its political masters. Prime Minister Keith Holyoake’s attitude to the medium was growing increasingly imperious while the corporation’s journalists were equally determined to hold him and his Government to account. This combustible cocktail came to a head in what became known as 'The Bick Affair'. A seemingly innocuous special about the impending move to decimal currency heated up when Bick issued an invitation to a controversial Australian accountant. The minister in charge, Robert Muldoon, responded that only he could address the criticisms and banned his officials from the show— but NZBC rules forbade ministerial appearances within three months of an election. The corporation narrowly interpreted its statutory requirement to provide balanced reporting to mean balance should occur within programmes. Unable to appear, Muldoon had effectively scuttled the special. It was an opening shot in his combative, two decade long relationship with the media. The NZBC duly postponed the programme until after the election, and Bick claimed political interference. He seemed to get a decimal currency board member to admit as much in an off the record phone conversation, which Ian Johnstone recorded so others in the office could hear both sides of the exchange. Bick held on to the tape which was supposed to be erased immediately. As debate around the canned show escalated, Bick resigned, then released the recording to support his claims. It had been made without consent and this breach of journalistic ethics cost him most of his support. At his farewell party, his colleagues presented him with a tankard inscribed 'The Compass Award for Valour'. Ian Johnstone would later recall Bick playing “the heroic Red Baron shooting off his frustrations with the lily livered NZBC in bursts of machine gun fire before dipping his wings and flying off into the sunset”. The election safely over with, the decimal currency special was belatedly broadcast in November 1966. Inevitably it proved an anti-climax; Bick “would have been happier if the film had been dropped in the middle of Cook Strait, never to be seen or heard of again”. He didn’t go quietly. In his 1968 book The Compass Affair, he set out to document “the trials and tribulations of a producer trying to inform New Zealanders of what goes on in their own country while resisting pressures to censor, edit, distort or withhold information”. The book offered a rare contemporary, firsthand account of programme-making in the early days of NZ television. After four years, Bick moved to SBS and launched current affairs show Focus. In 1985 he won a Logie Award for a series of programmes on new migrants.